What's up my friends. 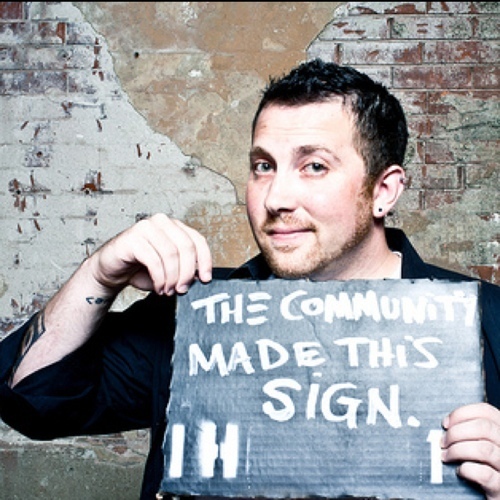 I'm Alex Hillman, and I'm here to teach you how to build a thriving and sustainable community in YOUR coworking space. 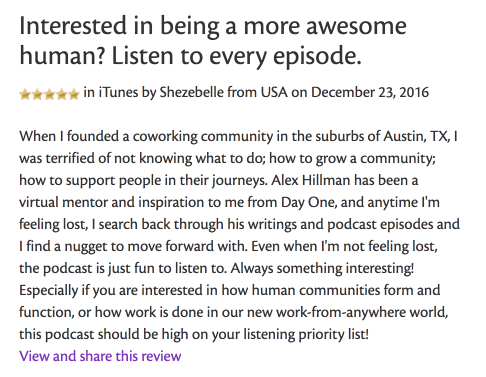 Join my list to get a FREE, weekly dose of insight and inspiration to help you grow your community and get more people involved. 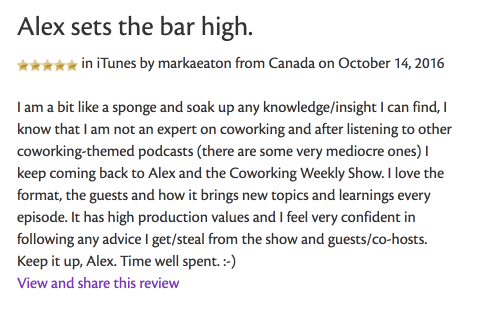 Check out the podcast, too! 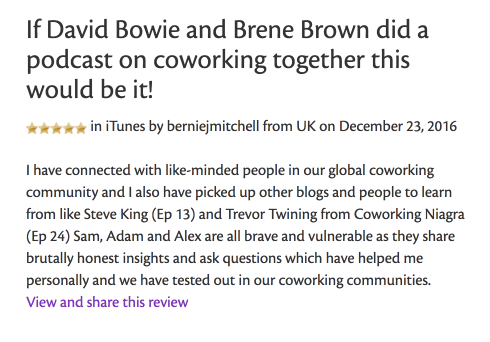 Subscribe to the Coworking Weekly Show in iTunes or wherever you get your favorite podcasts! New episodes to the podcast drop every Monday.